BIG UPDATE! New webpages and more! we announcing new version of SGVE web pages ( http://www.sgve.eu ) which should provide you clear interface and more simple look. Also we updated RULES for server to make them more understandable, don’t forget to check them. Also you can check all our ranked players on new web including donors (wraiths) and jaffas. We will also clean up jaffa players a bit so if you are not longer interrested on SGVE or you want to keep your jaffa rank but don’t play currently, let us know! We will add more features such ban list etc.. to the web soon but till that time you can view current bans on http://bans.sgve.eu or by typing !bans in servers’ chat. There are also new commands !rules and !donate which will open proper webpage with information you need. And last of all, current old SGVE #1 will be turned off by ending this week and it will be replaced with new SGVE #1 which you can find on IP: gm.sgve.eu:27015. All your ranks and stuff should be there. BTW. SGVE #2 shoud start working again in following weeks, SGVE #3 will be on preparation soon. If you find some bugs, feel free to report it on e-mail info@sgve.eu. server has finally fixed addons after recent update of gmod. Hopefully everything will work. Also report us on info@sgve.eu, if you find some bugs! finally after few days of having server offline we managed to fix it. Everything should work as before.  But if you find a bug, feel free to report it to info@sgve.eu. I am really sorry for having server offline for few days but we’ve ran into serious technical issues, hopefully server will be fully functional in following days and don’t worry everything should remain same. Reason why you weren’t informed sooner was that I wasn’t on PC during weekend and eber is very unreliable, he didn’t send here this announcement even I’ve asked him. WHAT A SHAME EBER! So stay tuned, everything should be back to normal soon!